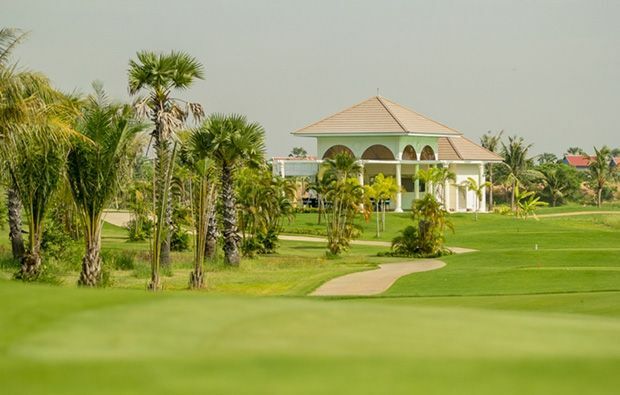 The course was designed by Major General Weerayudth Phetbuasak, who was also responsible for several great courses in Thailand including Suwan in Bangkok and Sea Pine in Hua Hin as well as the Phokeethra course in Siem Reap. The design brief was to mould a course that would be a challenge for professional golfers yet enjoyable for club golfers as well. 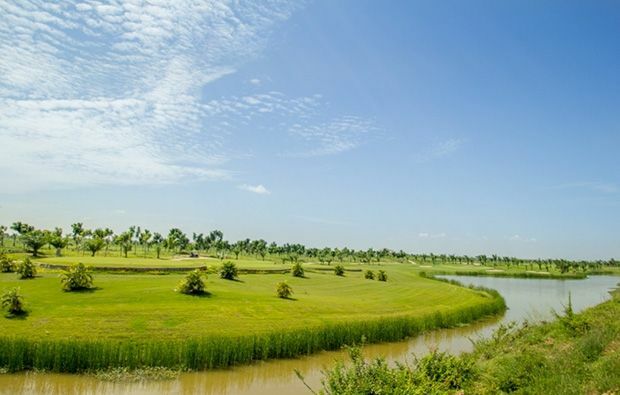 The once flat and featureless rice fields have been totally remodelled into a modern golf course with many bumps and hollows and plenty of man-made hazards in the shape of water features and bunkers. Most of the greens are quite large and rely on the water hazards and strategically-placed bunkers for protection. This 7,000 yard championship golf course plays very long with little roll out on the fairways and will prove a handful for most players. 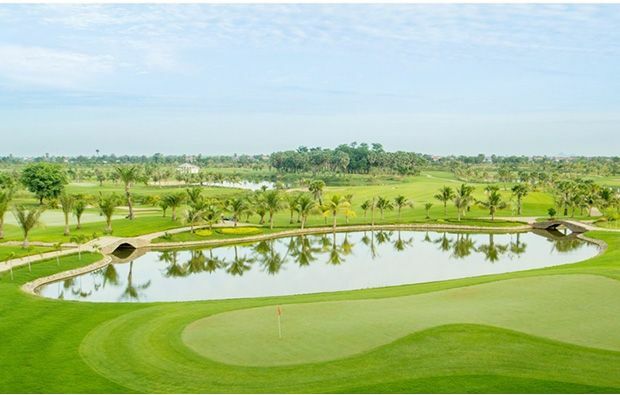 The signature hole is the par-4 6th hole which is 439 yards long with water running along the entire length of the left side of the fairway and yet another pond fronting the green so you should be happy with a par here. Other holes worth a mention include the 15th, a par-3 that is going to wreck somebodies card. The hole features a double green so the first to tee off gets to select which pin position (mountain or island) the group will play. 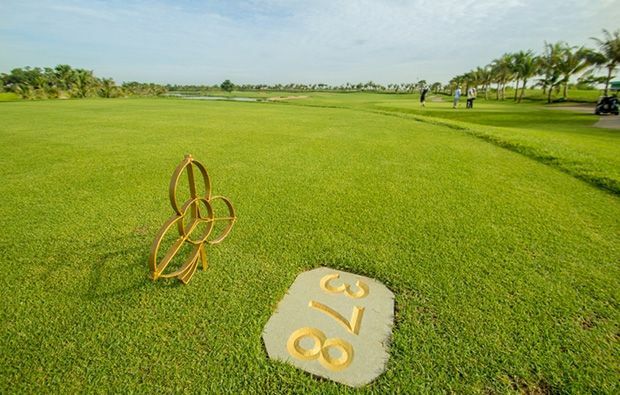 Whichever you choose you are faced with a green surrounded by bunkers and water, so club selection is crucial to avoid a bogey or much worse. The final hole on the front nine is a long par-4 that provides an excellent finish to the first half. 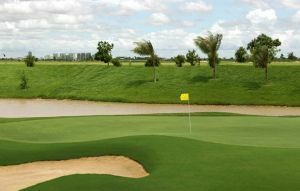 A very challenging hole made more difficult by the invisible lake along the right side of the fairway and if you can keep away from that then you should have a shot at the long, narrow and sloping green which requires a high and soft-landing draw to attack the pin. The modern clubhouse at Garden City has excellent changing rooms, a pretty good restaurant, and a very basic pro shop. Future plans include the additions of a driving range, hotel with spa, gym and swimming pool. 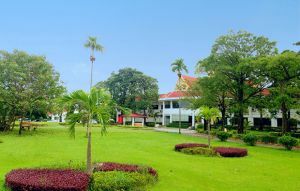 Garden City Golf Club has different Services to offer. Choose a date and number or players to see the rates.